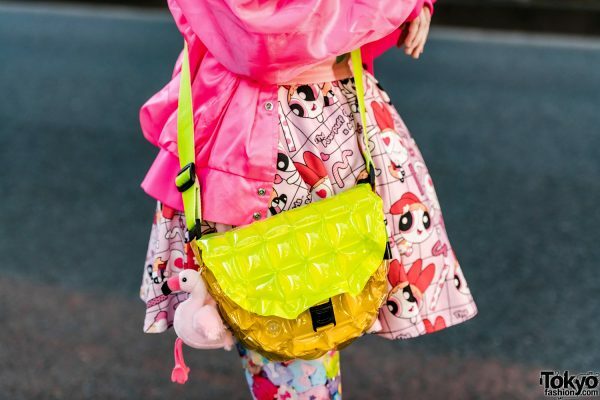 Brightening up the streets of Harajuku was Chami, whose striking outfits have been featured before on this site on several occasions. 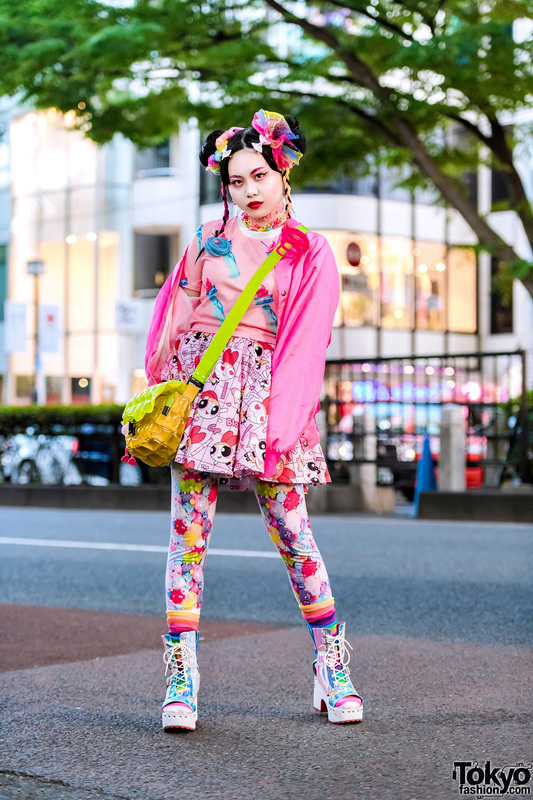 This time, she opted for a colorful ensemble that caught everyone’s attention. The 21-year-old art school student donned a vintage bright pink bomber jacket over a pale pink graphic top from ACDC Rag. 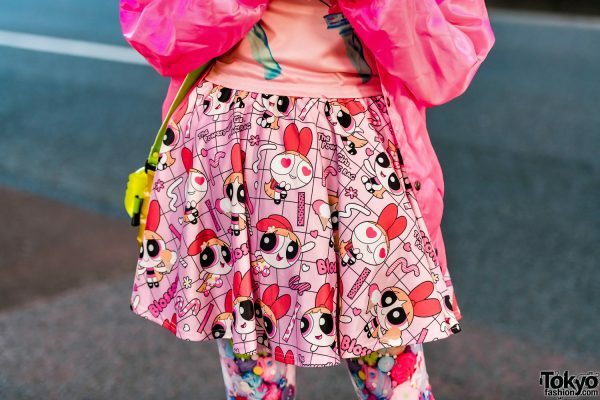 Chami also wore a pale pink skirt from ACDC Rag, which featured a Powerpuff Girls graphic print. 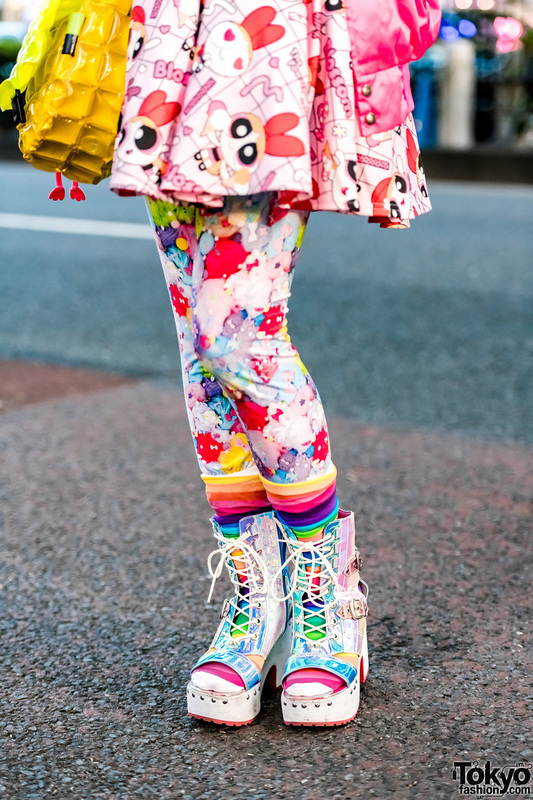 She styled them with multicolored tights, rainbow striped socks, and Yosuke lace-up platform boots with block heels and an open-toe silhouette. 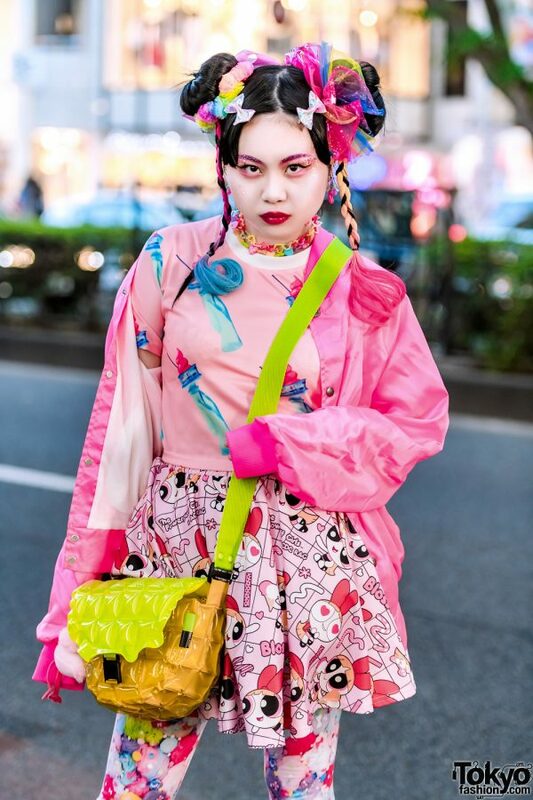 Strapped across her chest is a neon green sling bag, and on her neck are several multicolored chokers. 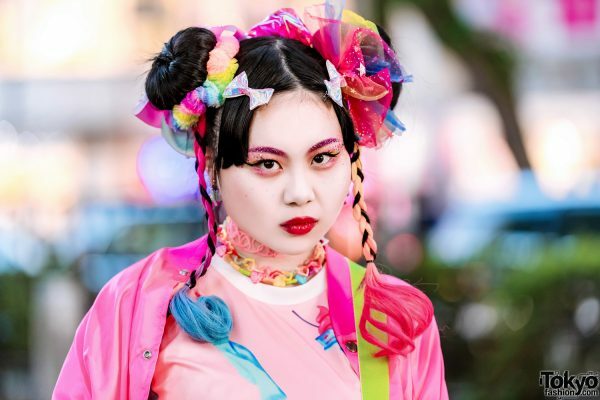 Chami’s beauty look consisted of sparkly pink eye makeup and bright red glossy lips. She also swept her hair up in twin buns with multicolored hair falls, colorful hair accessories, and parted bangs with silver bows. 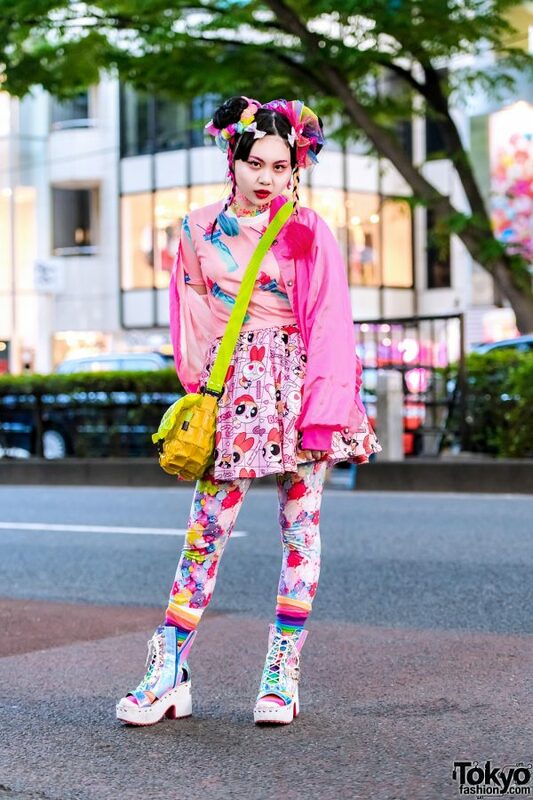 Her accessories are from Claire’s. 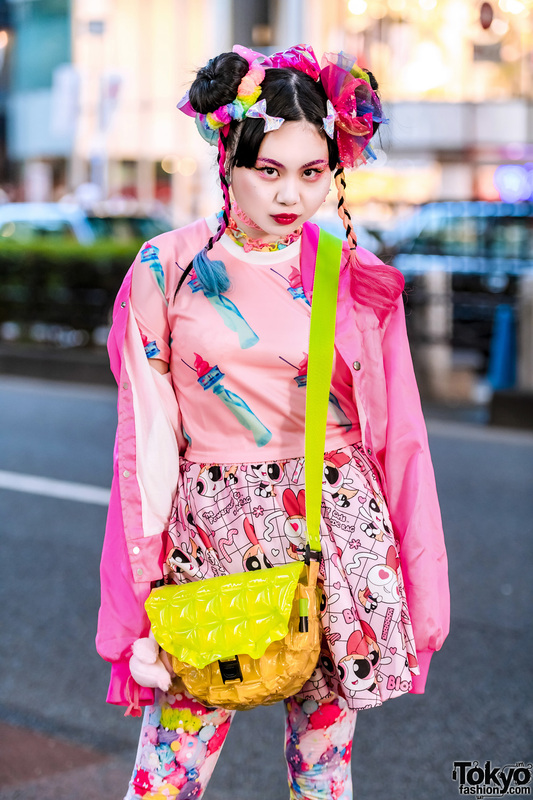 Chami loves shopping for her fashion favorites at 6%DOKIDOKI, and she regularly posts style updates on both Instagram and Twitter.